Great location in Fairmount / Art Museum area. Beautiful tree lined street with parking on both sides. Around the corner from Masterman and Philadelphia Community College, close to Whole Foods and WAWA, blocks to Fairmount Ave. bars and restaurants, and walking distance to anything you need including pharmacy, dry cleaners, convenience stores, and more. Walk to the subway in minutes. Take the bus that comes and picks you up at the corner. This location has it all! The apartment itself is an amazingly spacious 1 bedroom 1 bathroom with working fireplace, central air and heat, washer/dryer, dishwasher, breakfast bar, private patio/yard, and additional storage in the basement of the building. 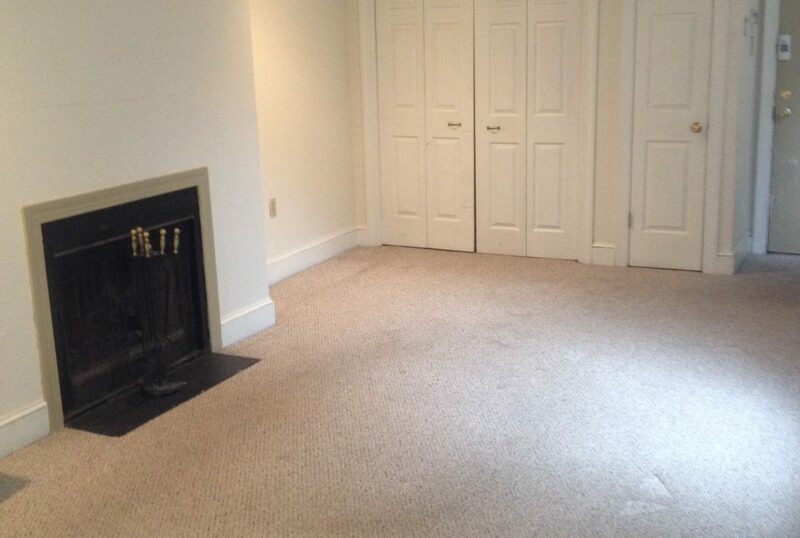 This is a very spacious apartment with a wide open living room and kitchen. Lots of natural sunlight pour in the apartment all day long.